Includes 1-Color/1-Location Imprint On #5794 - 20 Oz. 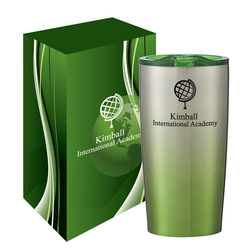 Himalayan Gradient Tumbler And 4CP On Gift Box. For Full Information And Applicable Extra Charges For The Item(s) Contained In This Set, Please Visit The Individual Product Pages Highlighted Below.